Fabiola Sandoval-Morado has triumphed over unbelievable challenges growing up as an undocumented citizen in extreme poverty and a culture where she was the only non-English speaker in her community. “[Growing up], I thought I had to give up my language and my culture to be successful”, Sandoval-Morado shares; but today, she sees that “being bilingual bicultural has given [her] many career opportunities”. Sandoval-Morado felt torn between her two cultures, asking herself, “Am I Mexican? Am I American?”, and feeling like she was never enough of either. This torn mindset made her decision to become a citizen difficult. Ronald Reagan’s IRCA amnesty of 1986 gave her the opportunity to legitimize her status. She became a Legal Permanent Resident the Spring of her Junior year in High School, and she realized that college could be a reality for her. But it wasn’t until in 2008, that Sandoval-Morado decided to go through the process of becoming a citizen of the United States. She found it easy to pass the US History & Civics and English Language exams, stating that “even though I walked two cultures, my education has been in the United States.” Today, she has dual citizenship in the U.S and Mexico, embracing her two cultural identities. After high school, Sandoval-Morado made the brave decision to leave her family and go to college in Kalamazoo, Michigan, where she received her Bachelor’s in Psychology and Fine Arts. Raised in a single parent household by her mom, it was tough to leave because she was a second provider for her family and she felt very under-prepared as a first generation college student. Growing up in the midwest, she agreed with the popular opinion that “multiculturalism is a detriment” and believed that she “needed to be more American to be accepted.” It wasn’t until after she graduated from Kalamazoo and started her graduate studies at Oregon State University, that her point of view changed entirely. When Sandoval-Morado started her family, she had to stop her graduate studies and go to work to support her family. Finding a job as a Department of Human Services as a Temporary Assistance for Needy Families (DHS TANF) worker made her realize that she could “embrace her multiple identities” in Oregon as a bilingual speaker and bicultural parent, helping families access Safety Net services. 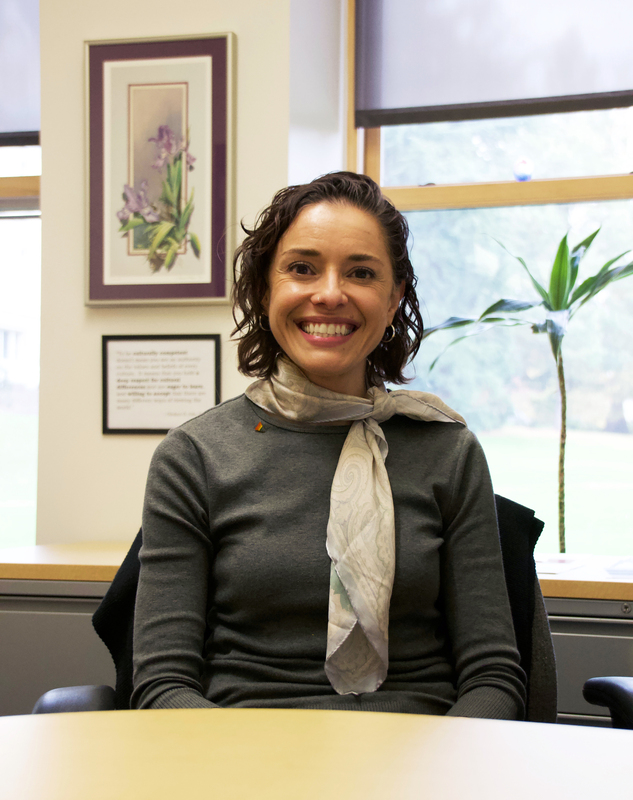 Today, Sandoval-Morado has returned to Oregon State University as the Academic Advisor and Outreach Specialist. She is open about her story as a previously undocumented citizen in hopes that she can be an ally to students who may come from similar multicultural and multilingual backgrounds. Growing up feeling that she “needed to be more American to be accepted” is a statement Sandoval-Morado shares, that she still hears from students today, and she wants to help change that mindset. As an advisor and outreach specialist, she wants to share her student’s language, concerns of being away from home, and the understanding of having to balance family and the importance of getting an education. Her experience working as a DHS TANF worker lends her the expertise in her current job as an outreach specialist for the College of Education while working with under-represented students in the community and state who are considering becoming a teacher. 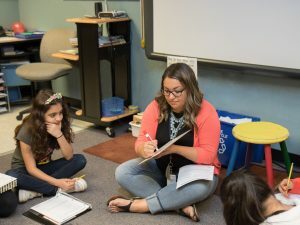 Growing up, there were no bilingual or bicultural teachers as role models, which made Sandoval-Morado feel that “she didn’t have a future in education”. Today, being bilingual bicultural has added value to her career in making connections with individuals on a more personal level. There is a great need for bilingual teachers in the country, and Sandoval-Morado is an advocate to those who are interested in being bilingual teachers. Bilingual and dual-immersion education increases the level of parent participation, understanding, and minimizes the gap in miscommunication when educators can speak the same language, while also increasing student success in and out of the classroom. 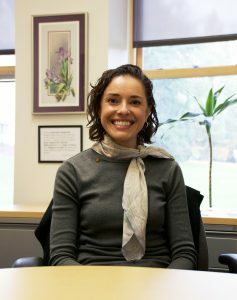 Sandoval-Morado believes that “Education is one of the biggest catalysts for social justice” and that it “brings out the best in a generation and creates what America is supposed to be.” Her goal for the College of Education surrounding this belief, is to increase the enrollment and retention support for underrepresented students in the College to match that of the University. Sandoval-Morado has already submerged herself in our unique and diverse campus culture. She enjoys taking fitness and cardio classes, being a part of the DACA taskforce, and the Community Diversity Relationships group; all of which support “the mission of having a safe community regardless of where people come from.” Visit Fabiola Sandoval-Morado in Furman Hall and share your story, learn more about hers, and gain insight on how to become an educator. Posted in News, People of CoEd. 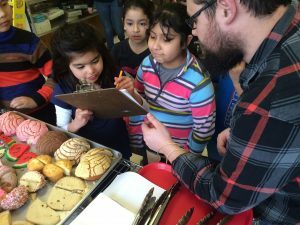 Oregon has 70 schools with dual-language programs, with more on the way. 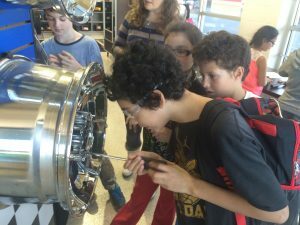 Demand is booming for two reasons: research shows that dual-language programs work better for foreign-language speaking students than English-only programs. But Esperanza de le Vega, the coordinator of Portland State University’s bilingual teacher pathway program, says there’s another big driver. “There is an educated population of sometimes bilingual, sometimes monolingual parents, who want this for their children. I think it’s great, because we have more allies,” she says. But as programs mulitply and expand into middle and high schools, it gets harder for districts to find teachers who are both qualified in the necessary subject area, and who have the language ability. Oregon State University language professor, Kathryn Ciechanowski, says school districts pursue candidates who are still in college.